"Shelter Network was established in 1987 to address the growing problem of homelessness on the Peninsula. Through seven programs located throughout San Mateo County, Shelter Network provides short-term and longer-term transitional housing for homeless families and individuals, and permanent supportive housing for chronically homeless adults. Over the past 20 years, we have steadily expanded our capacity, by opening new sites and expanding existing facilities, in order to serve the increasing number of homeless families and individuals in our community. In 1988, Shelter Network could house only 10 families at a time. 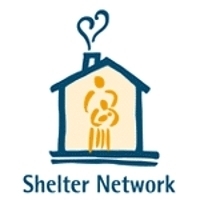 Shelter Network now serves over 3,500 homeless adults and children each year which includes 850 families and over 1,500 children, providing 183,000 nights of shelter. More than 99% of the families who completed our transitional program last year successfully returned to market-rate housing. Remarkably they were able to make this transition in just 84 days on average (in contrast, the national average is over one year)." This grant was a General operating fund donation.